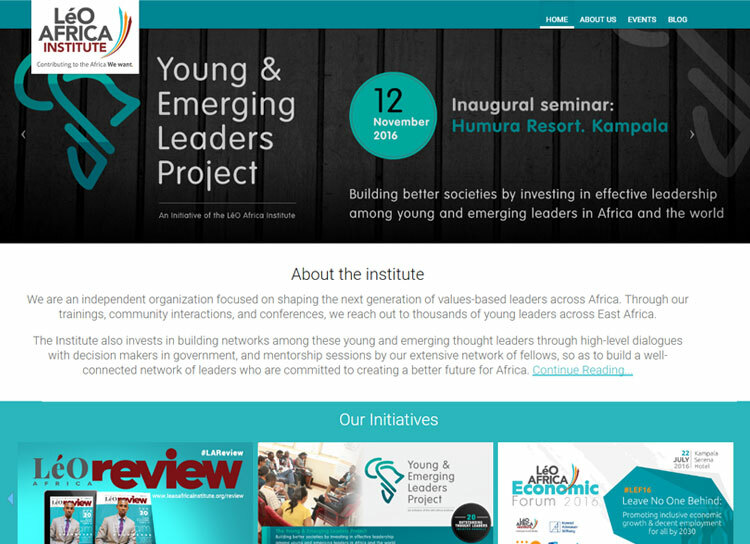 It is an organization dedicated to support, help, nurture and engage emerging value based leaders in Africa and the rest of the world. Through training, community interactions and conferences, the institute reaches out and shapes thousands of leaders across East Africa. It also coalesces these leaders with not only each other in an ever expanding network but it also brings them in connections with high level decision makers in the government to provide a better future for Africa. The challenge was to build a site which represented the spirit and values of the institute in a manner which would attract emerging business and thought leaders. The site had to be dynamic to present all the various events and seminars and conferences that had been held or were going to held by the institute. It had to be conservative enough to represent its values and vibrant enough to showcase its spirit. A fully developed and deployed site which informed about the institute and its values in a manner which was both engaging and informative. The site is built to evoke confidence and showcase competence. It details all the conferences and seminar organized by the institute while hosting various blogs and articles written to keep the leaders and readers engaged.